Founding member of superstar group, The Fugees, and award-winning filmmaker dives into unprecedented territory with new blockchain phone. 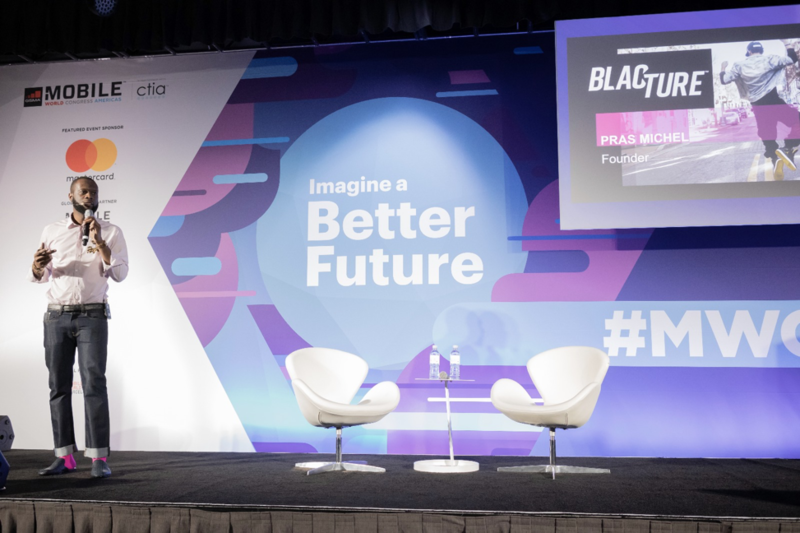 LOS ANGELES, September 27, 2018 – Artist, entrepreneur and humanitarian Pras Michel gave an inspiring keynote at the Mobile World Congress Americas, as he announced plans for the Blacture M1 – the first blockchain phone to be available in the U.S.
We want to ensure our culture is represented well on digital platforms. Our entry into this space is a way for our voices to be heard and recognized. Blacture was formed to address the lack of diversity that exists within the Tech industry. We are not trying to compete with anyone, rather we want to educate and empower our people so that they have the necessary tools to take on the challenges of tomorrow. Michel’s appearance at the Mobile World Congress Americas, the world’s largest exhibition for the mobile industry, is ground-breaking in that it is the first time anyone has debuted a product created for “the Culture,” targeting Black consumers first – not as a postscript – and solidifies his place as a thought-leader in this ever-changing industry.